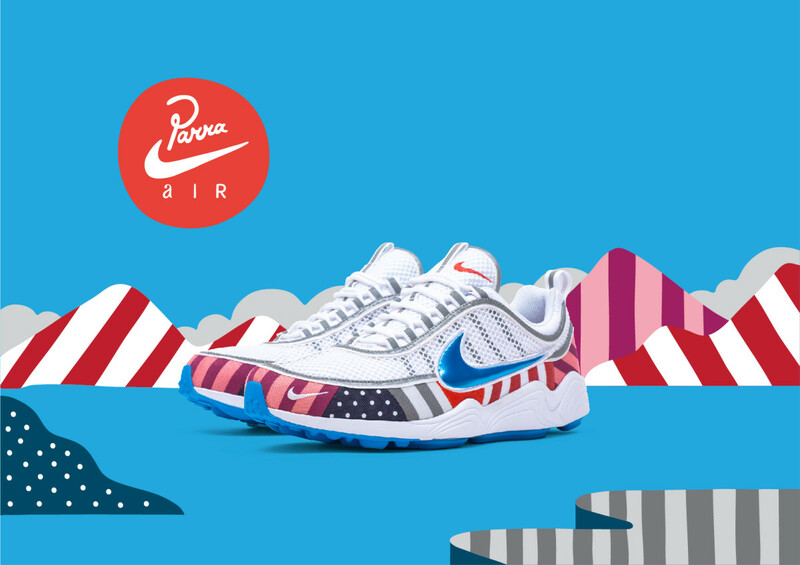 In addition to a pattern-heavy Air Max 1, Dutch artist Parra has also worked with Nike on a Zoom Spiridon, featuring the same clash of patterns on the mudguard. 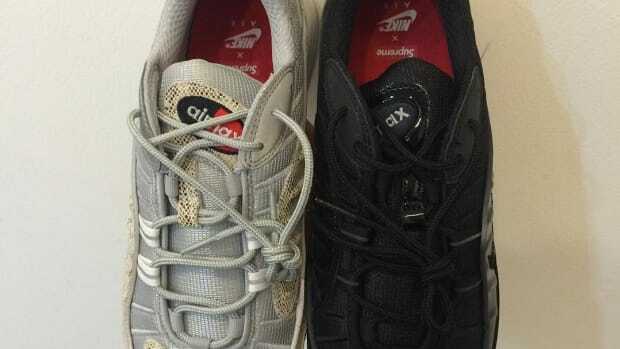 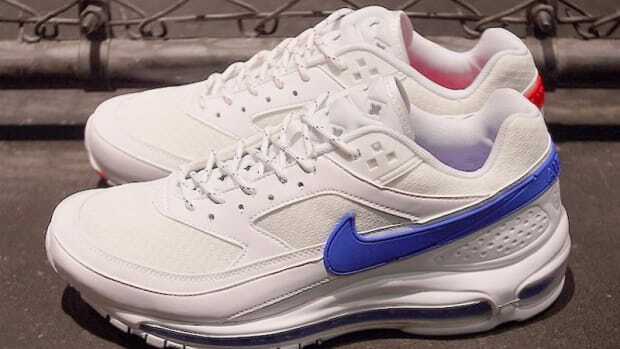 The white mesh upper, meanwhile, sports metallic grey trim and a bright blue Swoosh. 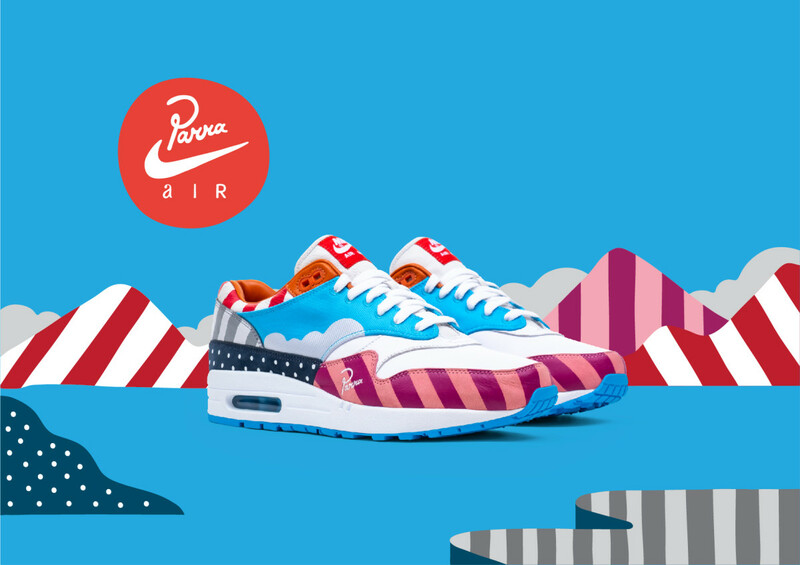 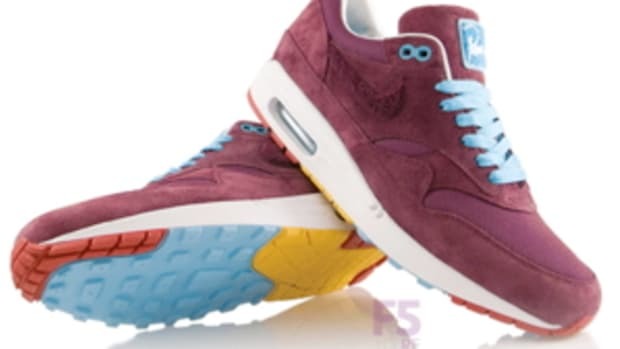 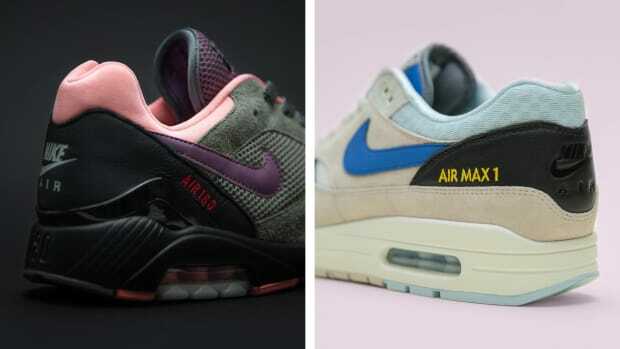 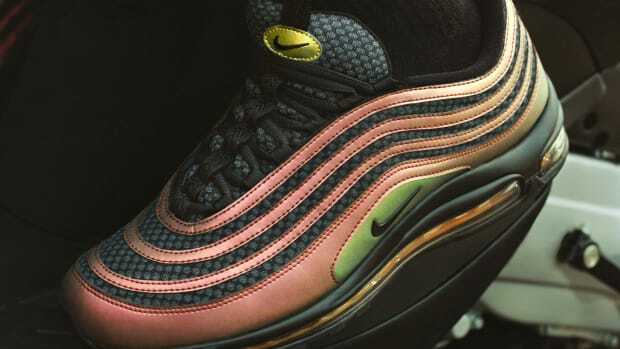 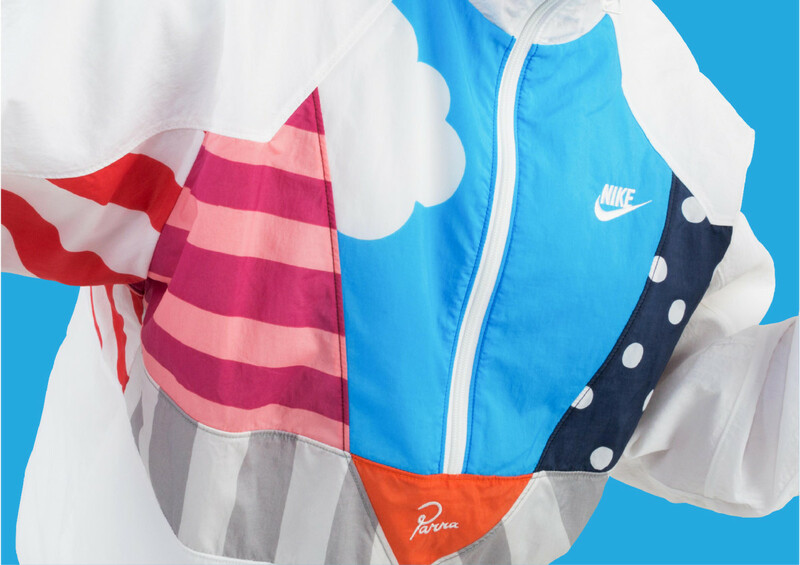 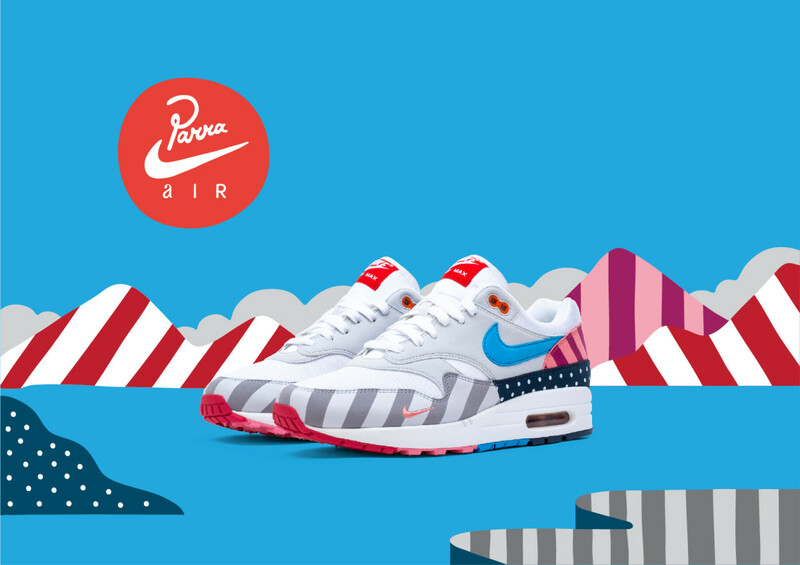 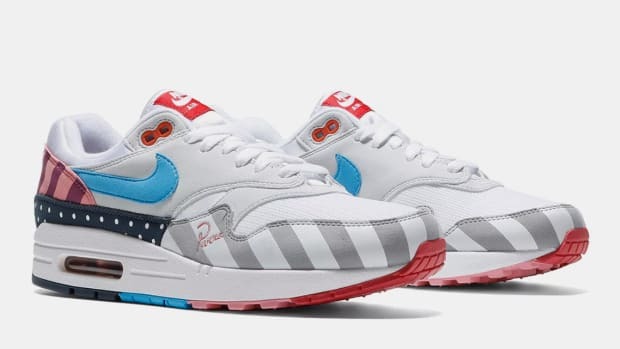 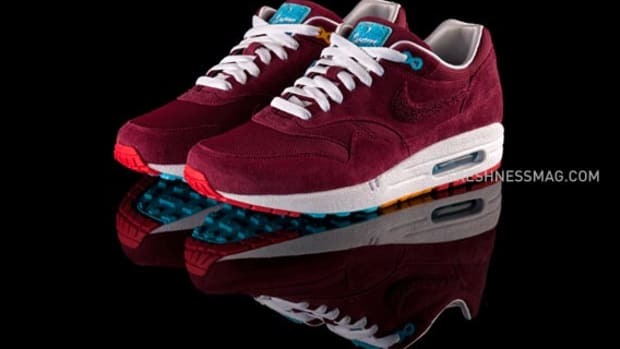 The collection is rounded out by a matching tracksuit and a friends-and-family version of the Air Max 1, which ditches the lateral Swoosh and takes on a cloud graphic on the blue quarter panel. 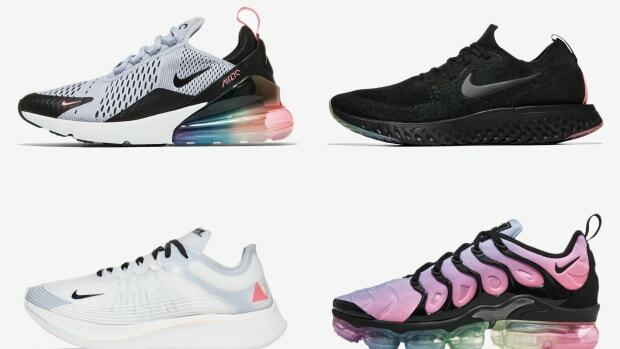 Expect the entire collection to hit stores on July 21.